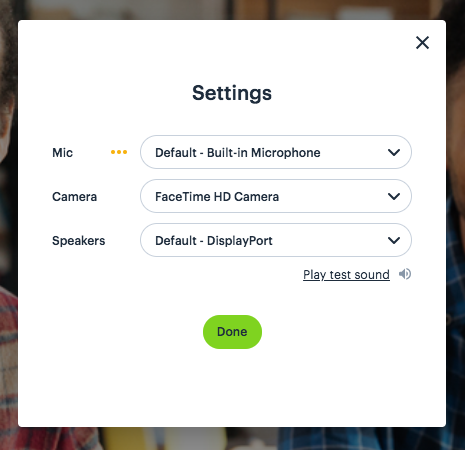 You can easily change which microphone, camera, or speakers you use for a Daily.co call. 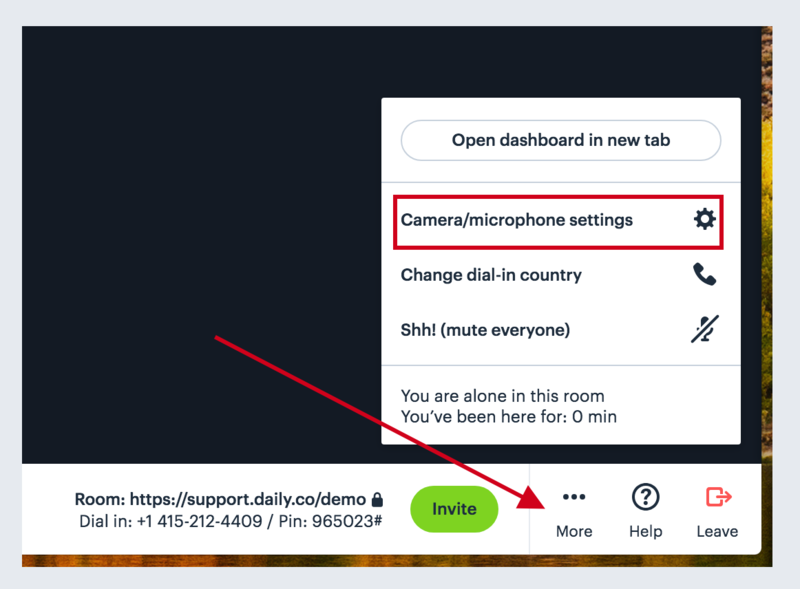 In the bottom menu of any call, click More. A window pops up. Select the mic, camera, or speakers that you'd like to use.